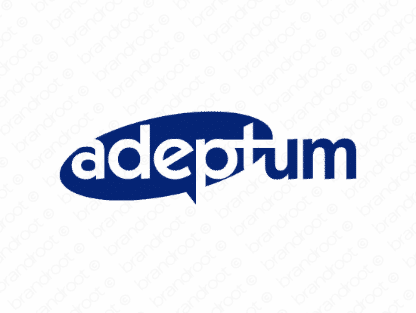 Brand adeptum is for sale on Brandroot.com! A malleable name that is both a play on the word adept and the Latin word for obtained/attained/overtaken. Either application is intelligent and sophisticated, giving your company the same attributes. You will have full ownership and rights to Adeptum.com. One of our professional Brandroot representatives will contact you and walk you through the entire transfer process.